Barbara Spellman is a Visiting Professor at UCLA School of Law. She will teach Law and Psychology. Spellman is a Professor of Law and Professor of Psychology at University of Virginia. She teaches evidence and various courses on the intersection of psychology and law. 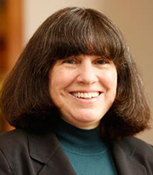 Spellman has published in both psychology journals and law reviews. She edited a special issue of Psychonomic Bulletin & Review (2010) on emerging trends in psychology and law research. From 2011-15 she served as editor-in-chief of Perspectives on Psychological Science. Her book (with Michael Saks), The Psychological Foundations of Evidence Law, was published in 2016. Spellman received her law degree from NYU in 1982. In the mid-1980s she practiced tax law at Chadbourne & Parke in New York City and worked as a writer and editor at Matthew Bender Company. She then moved to UCLA and earned a Ph.D. in cognitive psychology. Her psychology research focused on memory, analogical reasoning and causal reasoning. Now she writes about judicial reasoning, forensics and the replication crisis in science.